When you notice that your hearing is not as good as it used to be, it’s time to have it tested by a professional. Upon getting the results of your test from the specialist, be sure to ask these important questions to be sure you understand both your health and what the next steps are. What type of hearing loss do I have? Sensorineural – This is caused by damage to your inner ear, or the nerves that run from your inner ear to your brain. This type is often permanent, and can usually be treated effectively with hearing aids. Conductive – This type of hearing loss is often due to wax blockage, fluid in the middle ear, a middle ear infection called otitis media, perforation of the tympanic membrane, or otosclerosis which is an abnormal bone growth in the middle ear, the most frequent cause of middle-ear hearing loss in young adults. Mixed – This is a combination of sensorineural and conductive hearing loss. You may be affected by one or both types, so it’s important to learn which is causing the issue. Do I need a hearing aid in both ears? If your hearing test shows moderate or higher hearing impairment on both ears, you will most likely be recommended to wear two hearing aids. 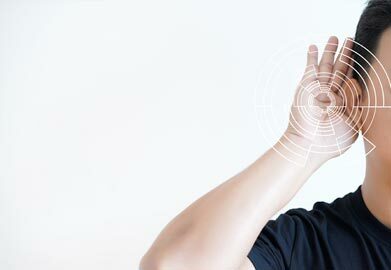 The benefits of binaural hearing aid amplification are better sound localization, improved speech legibility especially in background noise and in multi-talker environments, and prevention of auditory deprivation in the unaided ear. If you are among those who require two hearing aids, you are part of the vast majority, as 9 out of 10 patients need this. How often will my hearing aids need to be checked or adjusted? Hearing aids are precision medical devices and may require a few adjustments to be best suited for you. Each clinic will have different methods for following up with patients for adjustments and check-ins, so be sure to ask. If I am not satisfied with my hearing aids, what can I do? Some hearing centers may offer a trial period when they fit you for your hearing aid. Find out if your clinic offers this, so you have the chance to see how the devices work for you. The hearing professionals at Bravo Hearing Centre in Etobicoke understand that finding the right hearing aids and accessories are essential for maintaining a high quality of life. Our team is committed to helping you and providing services and support based on the individual needs of each patient.For more information on the services and solutions provided by the specialists at Bravo Hearing Centre, please see our hearing services page or contact us at 647-694-4626.